Fabulous Spring Bridge week in a luxury 5-star hotel with your hosts Zebedee and Claudia Stocken. Just 3 rooms left - don't miss out! 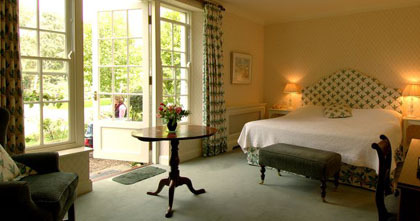 We ran a wonderful 4-day break at Ballymaloe House in October 2016 and it was one of our favourite hotels we have used for our bridge breaks: charming, comfortable and welcoming. The food was simply superb with the best guest feedback we have ever had. With beautiful gardens in lush countryside, elegant and comfortable interiors together with delicious food, Ballymaloe certainly lived up to expectations and fitted the bill for a top Bridge venue. Click HERE to read about our previous stay. If you would like to book, please first contact Claudia by email to check availability and to reserve your room provisionally. Then download the booking form, and send or scan and email this to us, together with the deposit (via bank transfer or cheque). We will then email your confirmation. 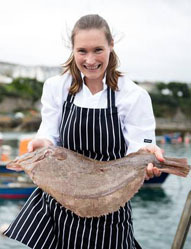 Under head-chef Gillian Hegarty, the restaurant serves locally sourced and home grown food from the walled garden and farm and freshly caught fish from the boats at Ballycotton. 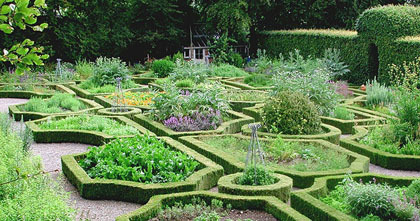 The gardening team are central to the menus in the kitchen - fruit and vegetables are sent up every morning from the gardens and menus are often finalised at the last minute depending on availability.